Spend Your Summer at Congressional Camp! Welcome to Congressional Camp! Whether you’re joining us for the first time or are a family who has spent countless summers with us, we’re excited to have you with us. 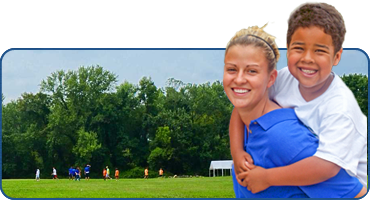 Congressional Camp is an ACA accredited coed day camp designed for ages 4-14 and are celebrating our upcoming 79th summer! We are located on a beautiful, 40-acre campus in Falls Church, Virginia at Congressional School. Our diverse programs include day camp, travel camps, and specialty camps which offer summers of new challenges, old traditions, friends and boundless FUN! We are also proud to announce that we will be continuing our partnership with Sleepy Hollow Elementary for a fourth consecutive summer. This year, our Sleepy Hollow satellite campus will feature one week camps with unique themes, giving campers the flexibility to attend multiple specialty camps over the course of a two week session. Campers enrolled in specialty camps at Sleepy Hollow will still have the opportunity to swim twice per week. We look forward to seeing you at Sleepy Hollow this summer! The Arlington Magazine has voted Congressional Camp as the best summer camp of 2017. Congressional Camp won first place for best summer camp of 2016 in the Washington City Paper. Congressional Camp won first place for best summer camp of 2016 in the Northern Virginia Magazine. Washington Family Magazine rated Congressional Camp as 2016 Best Day Camp.